With Black Panther tracking to open at $150 million, it's virtually certain that star Chadwick Boseman will generate more money in this role, in one weekend, than he did playing James Brown, Jackie Robinson, and Thurgood Marshall. Is that some kind of weird misallocation of public affection and regard for the icons involved? A triumph of escapism over documented historical achievement? Oh, hell no, says Panther writer-director Ryan Coogler, whose rousing, thoughtful new movie — it's black and it's proud, and says it loud — leverages the classic appeal of Marvel characters in the service of his interest in social, political, and racial themes. Coogler nods to those themes right away, opening Black Panther not far from the setting of Fruitvale Station, his debut movie about the wrongful death of a young black man on a transit train in Coogler's hometown of Oakland, Calif., establishing from the outset a link between fantasy and reality. Fruitvale showed a director skilled at docudrama, but his own origin story involves an attraction to pop-culture myth, as he informs us in Panther, via the words of one of his characters, who admits to being "a kid from Oakland, running around believing in fairy tales." Coogler brings all of it to bear in Panther, the story of a T'Challa (Boseman), heir to the kingdom of the African country of Wakanda. Early scenes have him staking his claim to the throne in trial by combat, taking on a challenger in a brutal fight that foreshadows battles to come — wars for the soul of his country. 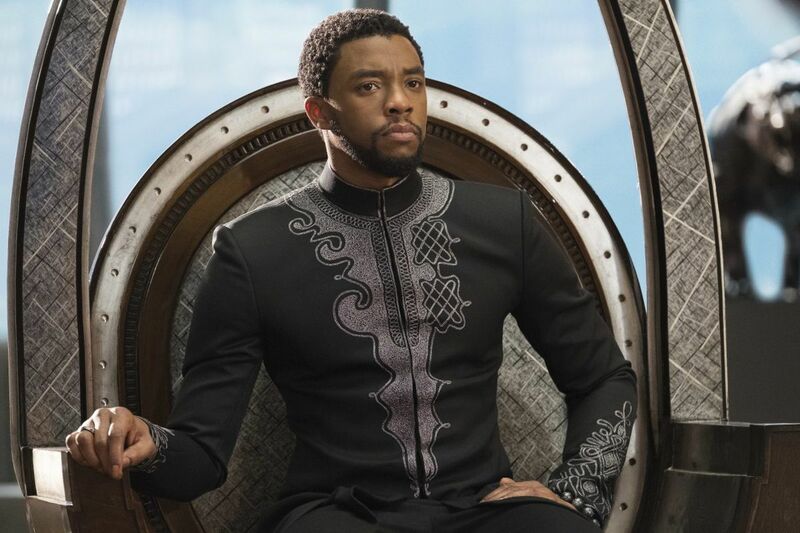 Wakanda is a place, but in Coogler's view it's also a state of mind, an idealized transnational black consciousness where competing ideas of justice, solidarity, and militancy play out. There is debate, for instance, within Wakanda about the potential uses of the country's valuable technology and resources (hidden from the outside world) that could be deployed to assist oppressed people around the globe. Cautious T-Challa worries that the country's gifts will be misused, and he's right to do so. A mercenary psychopath (Michael B. Jordan, chillingly good) wants to gain control of Wakanda's weaponry to start a bloody international uprising. But even T'Challa's own allies (and the woman he loves, played by Lupita Nyong'o) think he's being timid with the nation's resources. All of these conflicts are eventually resolved in the conventional framework of a Marvel action movie — action sequences full of stylized martial arts and the kind of special-effects melee common to the genre. This is interesting, but also — potentially — very patriarchal. Coogler defuses this by shrewdly and strongly integrating women into the story — Nyong'o's idealistic Nakia, Danai Gurira as the ferocious head of T'Challa's all-female warrior security detail, his brainiac sister Shuri (Letitia Wright), who develops and deploys the country's space-age technology. The latter makes for good sci-fi, but I think Coogler is really implying something more — technology as a stand-in for intellect, which he sees as Wakanda's real secret weapon, its most formidable untapped resource. Certainly it's worked for Coogler, whose smart ideas have catapulted him from indie filmmaker to Marvel universe master in three quick steps. Step two was Creed, the first time he took a familiar Hollywood property and remade it as something both Afro-centric and universal for movie fans. Black Panther sticks to Marvel orthodoxy, and yet does so with a nearly all-black cast (Martin Freeman and Andy Serkis have small roles), and with a strikingly Afro-centric production design. In the process it freshens and enlivens the Marvel brand. Who could expect to walk into a superhero movie and hear echoes of the recent debate between Cornel West and Ta-Nehisi Coates? The movie doesn't take sides, but there are heartfelt speeches (stick around through the credits) about "the illusion of difference," the foolishness of barricades, the need to surmount the mistakes of our fathers. It's hard for a good man to be king, T'Challa is told. But not, Coogler argues, impossible. Black Panther. Directed by Ryan Coogler. With Chadwick Boseman, Michael B. Jordan, Luptia Nyongo', Letitia Wright, Danai Gurira, Martin Freeman and Andy Serkis. Distributed by Disney.